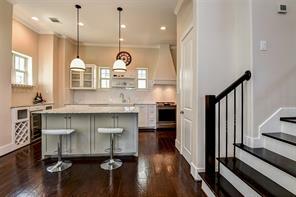 Gorgeous 3 bedroom, 3 bath, 2 car garage home in Historic 6th Ward/Washington Corridor just blocks from the heart of downtown! This property features a open floorplan, wood and tile flooring throughout, and traditional & modern finishes! Beautiful kitchen with custom cabinetry, Stainless steel appliances, Silestone countertops, brick backsplash, center island, and a wine bar! Living room has a brick gas log fireplace, wood mantel, and plenty of natural light! Spacious master suite, master bath with double sinks, Vanity area, corner garden tub, and separate oversized shower, walk in closet. Large media room with a wet bar. Climate controlled garage! 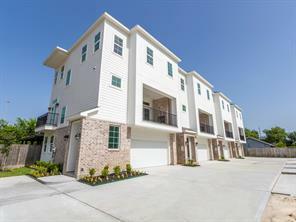 Buffalo Bayou and Memorial walking trails nearby!! 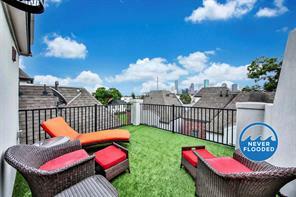 Back patio and rooftop deck with views of Downtown Houston!! This is a MUST SEE!! 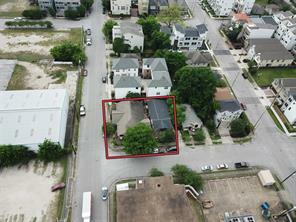 Commercial or residential opportunity within Downtown proximity in the historic 6th ward district. 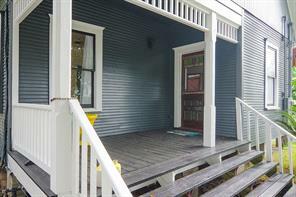 Home dates back to 1890 with 3 bedrooms, living area, utility room and backyard space. Home is non-contributing to the historic district. Tear-down is possible. 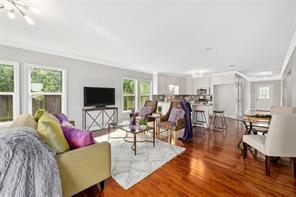 Close proximity to the ever changing and growing Washington Corridor! Invest in this opportunity! Property was not flooded by Hurricane Harvey. 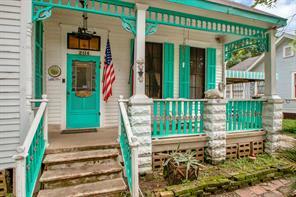 Welcome home to this quintessential Historic Old Sixth Ward Victorian original! 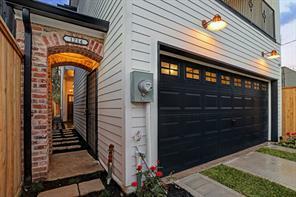 This gorgeous family home is nestled in one of the most sought-after, dynamic neighborhoods in Houston. Low maintenance, beautiful landscaping complements charming woodwork details, original windows (some have been reworked to open by a local legend! ), super high ceilings, and original old pine floors are just some of the features that give this gem of a home warmth and character. Located less tan a block from MECA's community art center and the new Henderson & Kane local market, 2010 Kane is walking distance to the Downtown Houston Theater District, Fondren Park, and dozens of restaurants, cafes, and shops along Washington Avenue. 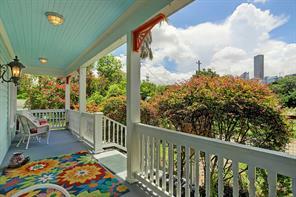 Three covered porches - in front, in back, and off the master upstairs - add tons of outdoor living space to the property. Currently two bedrooms upstairs, the den in back is one of 3 living rooms downstairs and can easily be converted to a master suite. Welcome home! High and dry in 6th Ward during Hurricane Harvey. Vintage cottage lovingly built out to approximately 2400 s.f. 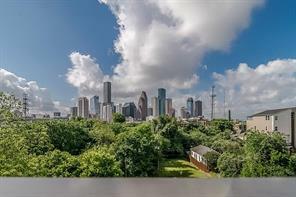 with downtown skyline views, a majestic live oak tree fronting the home, rebuilt original windows, exceptional foundation work, great decks & porch. Fabulous master suite on 2nd floor with awesome views of downtown. Great living space on main floor with 2 bedrooms or study. Located in Historic 6th Ward with a walkabiity factor of 10+ to city parks, jogging trails, fine & casual dining, shopping & entertainment. The best of inner city living. Striking, Elevator Capable, Corner Home With Unsurpassed Space in the Heart of the Arts District. Open Floor Plan on Second Floor boasts gorgeous Kitchen with rich cabinetry, spacious Living and Dining Area with stunning hardwood floors, and separate study nook at foot of dramatic stairwell. Natural Light, Soaring Ceilings, Abundant Closet Space and Storage. Oversized 2 car garage. 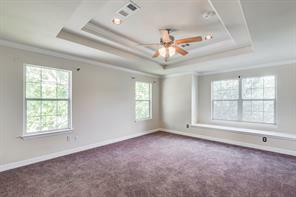 4th Floor Bonus Room features Full Bath and Separate Room for Office or Fourth Bedroom. 4th Floor Deck with Amazing View of Downtown. Handsome Home Rivals new construction. Walking Distance to Hike & Bike Trail, B&B Butchery, Stanton's City Bites, Platypus Brewing Co., Julep, & Catalina Coffee. Biking Distance to the Heights and Heart of Downtown -- only 1.5 miles. Welcome to 1713 Johnson in the heart of the historic 1st Ward Arts District. This French contemporary freestanding home features private drive, first-floor living and is close to retail, Hike & Bike, restaurants & so much more. 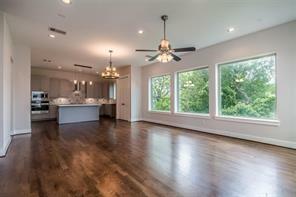 Views of the tree line & natural light are abundant throughout. The first floor features open concept living & dining, and a spacious chef’s kitchen with stainless steel appliances, ample storage with custom cabinets, breakfast bar, and walk-in pantry. A spacious manicured back green space with convenient turf is accessed through dual French doors. Upstairs, the master suite is generously sized with spa-like master bath including soaking tub and jetted/rainfall shower, as well as two secondary bedrooms with full bath and utility. The third floor features a large game room or optional 4th bedroom with full bath and closet, as well as an incredible rooftop terrace with unobstructed treetop views. Gently lived in and well maintained. 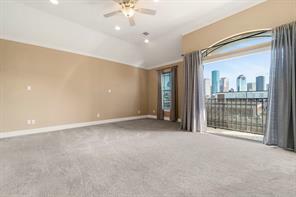 No flooding in this beauty@ Sophisticated Modern home with spectacular unobstructed views of Downtown Houston. Polished concrete and gleaming hardwood floors, high ceilings, open kitchen with granite counter-tops and stainless steel appliances. Amazing skyline views from 2nd floor patio, dining room and master suite. Spectacular 20x21 rooftop deck. Just minutes from Downtown, Midtown, The Heights and Washington Avenue Corridor. Modern Vintage! 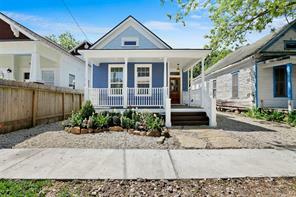 Come home to this magical gem in the exciting Washington Ave Arts District and First Ward! This beautiful 3 bedroom cottage was completely restored in '14 with a large master suite added in '16. Attention was paid to every detail, and care was taken to retain the historic charm while adding all of the modern conveniences. High Ceilings, Custom Cabinets and Built-in Book Shelves, Insulated Original and Reclaimed Heart Pine Floors, Shiplap, Granite Counters, Original Windows and Trim, Modern Kitchen and Laundry/mud room, Security, Sound & Lighting Systems. Downtown View. 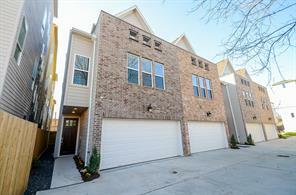 Large Master Suite has Walk-in Closet, Double French Doors opening to rear Deck, & High Ceilings. Ensuite bath features Separate Double Sinks, Large Stand-up Shower, restored Claw-Foot Soaking Tub, Antique Stained Glass Windows, Water Closet and more. 2 HVAC systems, 2 Tankless Water Heaters, rear deck w/BOSE speakers, storage shed, large landscaped yard & gardens. Walk to dining & entertainment. Exceptional design meets attention to detail in the modern home. 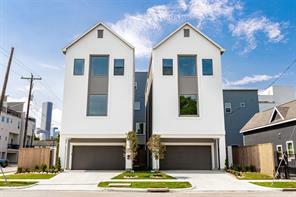 New construction by Titan Homes, Houston's luxury town home builder, features FIRST FLOOR living/kitchen/dining, private drive w/ additional parking & backyard! 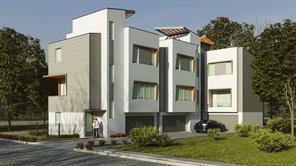 Master is designed like a hotel suite with foyer, lavish bath & glamorous closet. All 3 bedrooms on 2nd floor. Game room on 3rd floor. Family & pet friendly. Welcome Home to Titan Homes! 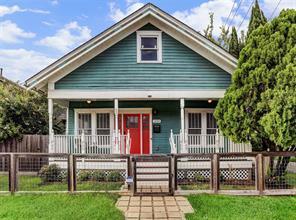 Bring the kids to this beautiful First Ward Arts District 1926 home. Lovingly restored. 3 LARGE bedrooms, 2.5 baths. Over 1880 sqft/ oversized 5500 sqft lot. Zoned to CROCKETT ELEMENTARY, a Magnet School for the Performing and Visual Arts. And just 1.5 miles to the relocated HSPVA downtown. OPEN FLOOR PLAN. Country kitchen with room for table/large Island. All appliances remain. Gas blt in oven. Gas cooktop. Recent Quartz countertops w/stainless on cooking area. Mature landscaping. Storage shed. Back yard big enough for a pool. Large shaded Side yard. Ceiling fans. Quarter sawn oak floors. Floored attic storage. Did not flood during Harvey. Walk to downtown, less than 1.5 miles away... By Appt only. The DOWNTOWN VIEWS from the ROOFTOP DECK are to die for! HUGE BACKYARD for inner city....big enough for a pool. Barely lived in home that is PRISTINE INSIDE. Balconies on FRONT & BACK side of 2nd floor living area w FRENCH DOORS lining the walls. Downstairs bedroom is big enough to be a second master with a wall of FRENCH DOORS leading to back yard. Hardwood floors flow thru downstairs bedroom, living area & 3rd floor hallway, carpet in 2 bedrooms only. Master bedroom with gorgeous vaulted ceiling w wood beam detail. Restored 1-story historic homes behind property keep your views open. Double driveway with parking for 4 cars. FIRST WARD is one of the most WALKABLE areas with 3 BREWERIES and tons of RESTAURANTS within a 1/4 mile. Down the street from the Sabine & Spring St Art studios with regular exhibits. HIKE /BIKE TRAIL is one block away & takes you downtown or to heights. Get into this up and coming area while you can. 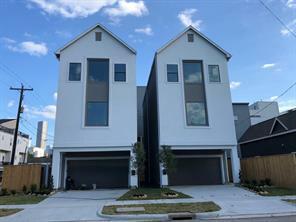 Stunning 2-story new home facing downtown Houston will take your breath away. So many unique features: ~50 yr-old reclaimed 3/4" red oak flooring throughout, including patterned inlays in entry and living. Gorgeous Calacatta grey/white marble makes the kitchen and baths so elegant. 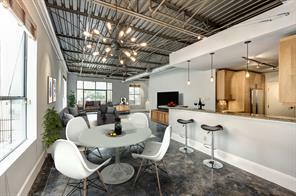 Modern chandeliers in kitchen, dining, master bath and entry are just what you would have chosen. Louis Poulsen-designed copper lights above garage add character and warmth, as does the working weather vane on the 30-year roof. White stone surround graces the gas fireplace. Construction details include built-in alarm, thermostats, Wi-Fi ready dimmer lighting, and a fully fenced back yard with wood deck. 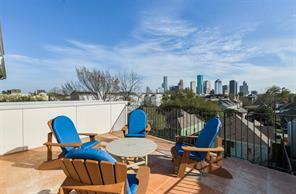 The balcony off of the master is ready for your morning coffee and downtown view. The train goes by the back fence, with no horn, only ambiance. Red oak is also on the stairs, open shelving in kitchen, and island top is walnut. Crown molding throughout. Charming arched brick entry with gate. Come see! 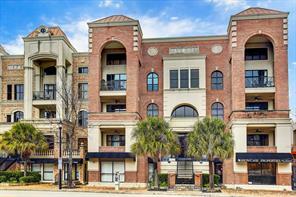 Located minutes from Downtown,Memorial Park,Galleria,Med.Center & Museum District.Home boast large picturesque windows w/breathtaking views,wrap around rooftop deck,2 balconies,high ceilings,floating bamboo staircase,bamboo floors, granite counter-tops, wine cooler,mosaic tiles,wired for surround sound/alarm. Central vacuum, sunken living, fireplace w backlights. Designer tile back splash. Master bath double,separate shower/Jacuzzi tub. Explore this home right now in 3D by clicking on the "virtual tour" link above! HCAD showing property built in 2016; builder showing home built in 2018. 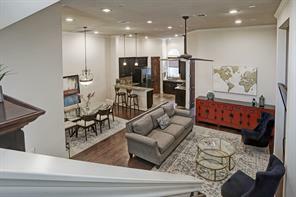 BUILDER CLOSEOUT PRICING - Goliad Grove Landing features contemporary city living at its finest. 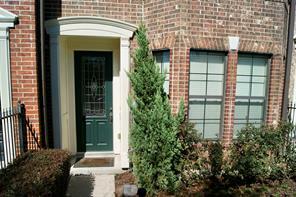 1211 Crockett is the last unit available, enjoy a large private driveway and first floor living. 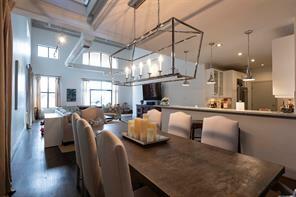 The open concept and gourmet kitchen lend well to entertaining. The living room leads to a nicely sized yard for urban living. The home is elevator capable. The master suite boasts an expansive master closet and exquisite master bathroom. 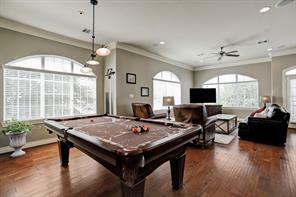 The third floor game room has the option of building out a spacious fourth bedroom. Gorgeous natural hardwoods blend with the excellent craftsmanship. Schedule a showing now to see this gem in the heart of Sawyer Heights which features adventurous hiking and biking trails. REDUCED! First Ward Arts District! Compares to new construction! 3 LARGE bedrooms, 2.5 baths. Over 1880 sqft/ oversized 5500 sqft lot. OPEN FLOOR PLAN. Country kitchen with room for table/large Island. All appliances remain. Gas blt in oven. Gas cooktop. Quartz countertops w/stainless on cooking area. Convenient storage/tool shed. Back yard big enough for a pool. Large shaded back and Side yard. Ceiling fans. Quarter sawn oak floors. Plantation shutters on most windows. BIG FRONT PORCH! 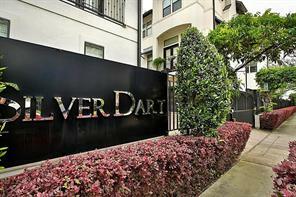 Walk to downtown, less than 1.5 miles away... By Appt only. 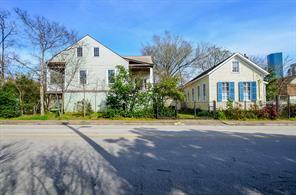 These two historic homes situated on a corner lot in the Old Sixth Ward provide numerous possibilities. 1819 Lubbock was built in 1857 and moved onto the lot to avoid demolition. It was placed atop a custom designed, over-sized two car garage with workshop, storage room, and potential living space. The second level contains the main living areas with soaring ceilings and ample outdoor spaces. The attic has been converted to the third level, framed for three bedroom and two bathrooms. The entire home has been framed out but will need to be completed to live in. The second home, 610 Silver, is a quaint 852 Sq. Ft. one bedroom and one bath home that could serve as a guesthouse or a rental income opportunity. A wrought iron gate sits between both homes and opens up to the driveway and garage for the main home. Current owners estimate the combined square footage of both homes to be 2,952 but suspect it could be larger. Tastefully updated transitional home in the heart of first ward with breathtaking views of downtown. Home has many smart living and energy efficient upgrades including: Interior/Exterior LED lighting, EcoBee3 Thermostats & Sensors, Honeywell Zoned AC/Heating, Insulated Windows and Exterior Doors, Foam Insulation, Tankless Water Heater, Front & Rear Irrigation System, LED Landscaping Lighting, Built in Alarm & Sensors & more. Open living floor plan with master suite, laundry and guest bedroom on the 3rd Floor. Media/Bonus room on 4th prewired for surround and projector. 275 SqFt Rooftop patio with direct views of downtown. Appliances include GE Stove, Microwave, Cooktop & Dishwasher. If you are looking for privacy, security and near downtown living, the house is a must see. Rare opportunity to own a penthouse unit! Conveniently located near several major freeways and downtown on the East end of Washington (next to B&B). Major rehab performed in late 2015: Refinished hardwood floors to darker stain, new seagrass flooring in loft (with padding under), refinished kitchen cabinets in white, new Carrera marble kitchen countertops, new subway tile backsplash, new faucet, new dishwasher, new fridge, fresh paint throughout including ceiling, new HVAC, re-did the master bath in Carrera marble throughout, new toilet in master bath, added wall, and Double door entry to master, new track lighting, replaced all switches & plugs to bright white, new designer chandelier, new wood blinds, auto/remote tilt wood blinds upper windows in master for blackout, 4 in-wall speakers in living room, amazing views into downtown that won't be interrupted because the neighborhood across the street is historical, etc. Please call today to schedule a showing! 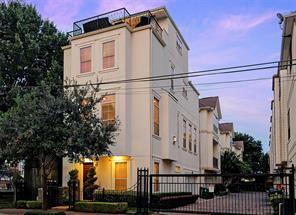 Beautiful contemporary four story townhouse with stucco on all sides with an amazing downtown skyline view! Extra parking space is available with this unit equaling to three total parking spaces. The kitchen and bathrooms include high end contemporary cabinets from Madeval USA. The kitchen also features an over sized island that opens to the living room with a balcony and dining room area ready to accommodate an adequate amount of guests. The third floor has a large master suite and a second bedroom. Finally, the fourth floor has a bonus media room and/or study room with a wet bar and access to the rooftop that is perfect and just in time for hosting in the Summer! Also make note of the additional 3rd private parking space that comes with this unit! MILLION DOLLAR VIEW!! Look no further, this 2012 freestanding home has it all. Private driveway, terrace with breathtaking view of downtown, just a walk or bike ride from all that Sawyer Heights has to offer. 2nd floor living is open with natural lighting and beautiful oak floors. Kitchen has Bosch appliances, marble countertops, kitchen island, and wine cooler. Master has huge walk-in closet with built ins and oversized shower. Other features in the home include pre-wired outdoor speakers on the terrace, wet bar, epoxy garage floor, and much more. Whether you want basketball, baseball, theatre, ballet - it's just miles away. This Energy Star home won't be on the market long. No HOA. Didn't flood. Come see it for yourself! 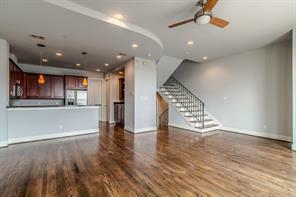 Newly renovated historic duplex! The building was taken down to the studs and converted into 2 beautiful townhouses! New wiring, new plumbing and a great modern design! 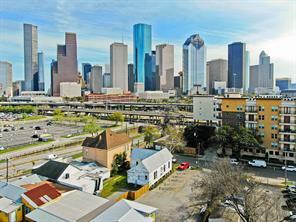 Located just on the edge of Downtown in the Historic Sixth Ward with impressive views of the Houston skyline. A stone's throw from Memorial Dr & Allen Pkwy, this home is conveniently located to downtown attractions & walking distance to many popular restaurants. Walk, jog or bike over to the Buffalo Bayou trails and enjoy all that in-town living has to offer! Take a look at this newly construction home located in the growing Sawyer Heights. This modern home includes 3-4 bedrooms and 4 baths. The home is beautifully constructed with contemporary details, hardwood floors, and high ceilings. Theres a bedroom located on the first floor with the master and guest room on the third. 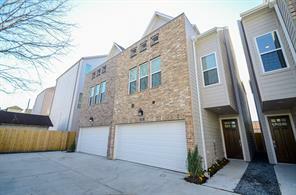 Located close to the new Sawyer yards, Silos markets, and Target super center. 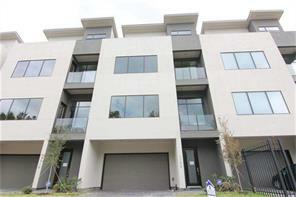 Beautiful NEW CONSTRUCTION, ready for immediate move-in. 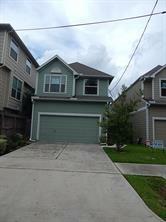 This home located in the highly-desired Sawyer Heights area minutes from Downtown Houston. Home features a PRIVATE DRIVEWAY, LARGE FENCED BACK YARD. 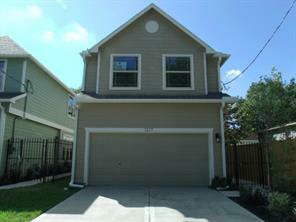 Wood floors, GE stainless steel appliances with custom home features. 11' ceilings on the second floor are combined with an open floor plan and elegant kitchen adorns an oversized island with upgraded quartz countertops and wine fridge. Huge owners retreat with spacious his and her walk-in closets, double sinks, tray ceilings, and much more! 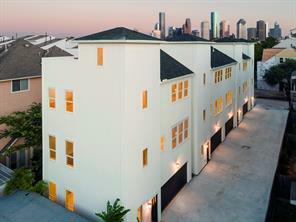 Beautiful contemporary four story townhouse with stucco on all sides with an amazing downtown skyline view! Extra parking space is available with this unit equaling to three total parking spaces. The kitchen and bathrooms include high end contemporary cabinets from Madeval USA. The kitchen also features an over sized island that opens to the living room with a balcony and dining room area ready to accommodate an adequate amount of guests. The third floor has a large master suite and a second bedroom. Finally, the fourth floor has a bonus media room and/or study room with a wet bar and access to the rooftop that is perfect and just in time for hosting in the Summer! 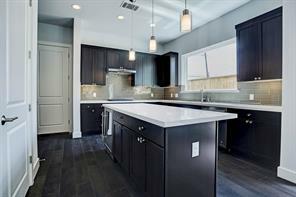 Take a look at this newly construction home located in the growing Sawyer Heights. This modern home includes 3 bedrooms and 3.5 baths. The home is beautifully constructed with contemporary details, hardwood floors, and high ceilings. Theres a bedroom located on the first floor with the master and guest room on the third. 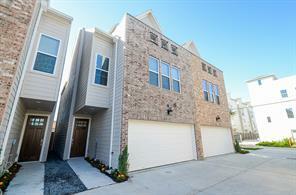 Located close to the new Sawyer yards, Silos markets, and Target supercenter. Come home to this quiet, spacious retreat in the heart of the City. First Ward/Washington Ave Arts District is a great place to live and play! Large corner lot on a cul-de-sac street. This open, contemporary home has soaring ceilings, polished concrete floors down and wood floors up. Lots of natural light, insulated low-e windows with custom blinds. First floor living, kitchen and dining! Google Maps Street View is totally outdated! Must come see!! FOUR-car garage with workshop and TONS of storage. Off-street guest parking in extra-wide driveway. Large covered back deck is awesome for parties and Bar-B-Q's or just hanging out with friends. Near The Heights Hike and Bike Trail!! WALK to art galleries, bars, breweries, gyms restaurants, parks and more. EVEN WALK TO DOWNTOWN! This neighborhood has experienced rapid growth and appreciation over the past few years with new restaurants, bars, gyms, breweries and more popping up almost monthly! CALL NOW to schedule a showing! 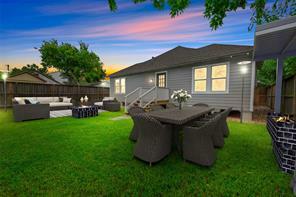 This bungalow has been completely renovated! Hard wood floors, granite counter tops, new appliances, and modern decor. New grass and driveway has been done for a fresh new look! This home is conveniently located near Downtown and all the fun amenities!! The train is in a No Blow Zone. You don't want to miss this cute home! Skyline at Ovid, the perfect place to call home! Located in the stunning area of Sawyer Heights. 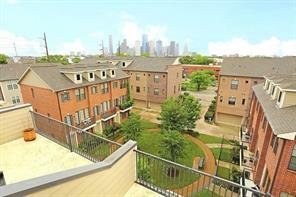 This four unit community is minutes away from shopping, entertainment, and the best restaurants Houston has to offer. You'll love the spacious floor plans, high ceilings, and breath taking downtown views. Take advantage of the specially designed roof top deck that allows you all your social events. Schedule your appointment to see this development today! This beautiful 3 bedroom, 3.5 bathroom home in a gated community is a truly spectacular location. Quick access to the highway, even quicker to downtown, and an easy walk to the new $58 million renovation at Buffalo Bayou. Only a 3 minute walk to restaurants, and shopping. New HEB in the vicinity to open this year. Spacious living areas and bedrooms. Never flooded. The vacant lot behind this home is owned by the lumber yard with several dozen divided interests, (no plans to sell) providing unobstructed views of downtown. An amazing home in a an amazing location. Come see it today! *B&B Butchers, Taco Deli, Julep, Platypus Brewing Co. - - - - - > ALL WALKING DISTANCE!!! It's all about location and this beautiful 3 story home has the perfect location for all of your needs. 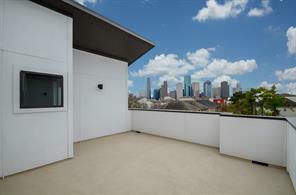 Views of Houston Skyline from you huge 3rd floor balcony will make this the place to celebrate 4th of July and New Year's! The Master Suite is the entire 3rd floor with a separate sitting area/study space. Perfectly thought of, the WASHER/DRYER STAY and are stacked in the large walk-in Master Closet, no lugging the basket up and down the stairs. A private guest suite on the first floor with it's own full-sized bath and large walk-in closet. On the main level, wood floors hold the natural light and give a wonderful glow to the whole space. There's an open Living/Dining space along with a Kitchen made for the chef with stunning granite counters and stainless steel appliances! You're going to love all the cabinet space! This is an easy entertaining! Right outside is the main Bike path to the city. All the shopping, dining and entertainment you want is close by! Gated and no flooding! 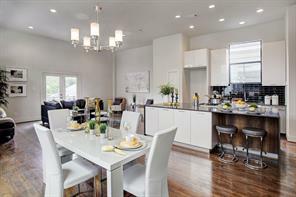 Wonderful contemporary home in the heart of the booming Sawyer Heights neighborhood. Front left corner home. Marble Waterfall island, site built cabinets, and glass tile backsplash adorn the kitchen as well as stainless steel appliances and gas range. PEX plumbing throughout the home. Freshly painted interior walls and garage. New carpet in master closet. Upgraded floors throughout all bedrooms. Third floor flex room added on in 2018. Wine fridge in flex room to stay. Roof top balcony built out with custom drainage system, new astroturf, and gas grill to stay. New AC unit with 5 year warranty. This home and surrounding area stayed high and dry during Harvey! 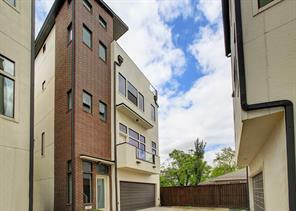 New construction, Literally only minutes to he heart of downtown. 2 story home on a 30'' wide lot. 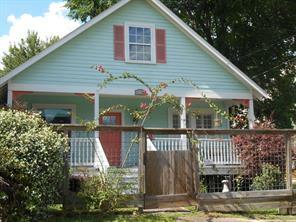 Charming 3 bedroom, 2 full baths, 1 half bath. Nice open floor plan, flows well for entertaining. All bedrooms are up, full size laundry room located on 2nd floor provides easy access to all bedrooms. 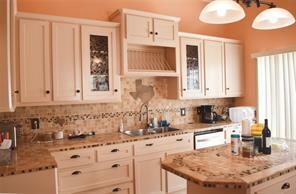 Large island/breakfast bar in kitchen with granite tops and tile flooring. Dining space open to family room, makes entertaining easy. Over sized private master suite and bath. ONLY 2 UNITS LEFT! LOCATION!!! Another Extraordinary Development by Bijan Builders, LLC (Bijan Custom Homes). 6 gated UNBELIEVABLY GORGEOUS 4-story free-standing homes. Superior workmanship w/ exceptional floor design. High 10 ft ceilings w/soft, traditional colors, White Oak hardwood throughout, open living concept, wired for alarm & surround, stunning kitchen, island, quality appliances, under cabinet lighting, 3 zone A/C programmable, High efficiency Trane A/C compressor, extra storage, AMAZING master bath w/double sinks, jet tub & shower, large closet, high garage ceiling, multiple balconies, roof top terrace with slate tile, gas connection and dramatic Downtown views. Home is built on elevated piers to bypass flooding. Gorgeous end unit w/tons of NATURAL LIGHT. No boring white walls here. Tastefully decorated w/slate blue/grey tones. Small FENCED FRONT YARD w/artificial turf. Stained concrete floors in entry. 1st floor bedroom w/private bath w/walk-in shower. Second floor living w/HARDWOOD FLOORS & an ENORMOUS KITCHEN ISLAND. Beautiful wood cabinets & windows behind the sink and cooktop. There is even a CORNER BAR for all your glassware. So much COUNTER SPACE here! Open floor plan w/room for a large dining table. CORNER DESK AREA near FRONT BALCONY as well. 3rd fl huge master br w/gorgeous wallpaper feature wall. Big tub & walk-in shower w/a super sized closet. Another bedroom on 3rd floor w/private bath. Laundry on 3rd floor. ROOF TOP DECK w DOWNTOWN VIEWS & bar area just inside. Even the attic is awesome w/extra storage space. Community has a FENCED DOG PARK. First Ward is one of the MOST WALKABLE AREA w 3 breweries & tons of eateries. 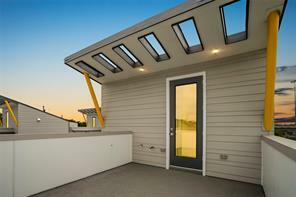 Extraordinary Contemporary 3/3.5/2 Corner Home in Sought-after Sawyer Heights/Washington Corridor area, with Direct Downtown View from 18x12 Rooftop Terrace! Fully upgraded in 2019, Secluded Gated Community with Beautiful Grounds, Low HOA fees & Large Balcony overlooking next Door Green Areas. 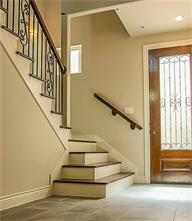 Custom Tile Entrance & Rich Hardwood Flooring Through Social Areas. Bright Suite with Full Bath Down, Open Kitchen/Living/Dining Area in 2nd Floor. 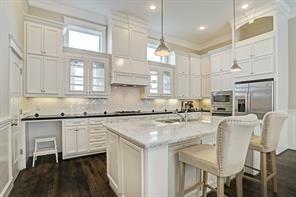 Kitchen Island Features Waterfall Marble Counters, Newly SS Appliances, Glass Backsplash, Pendant Lighting & Grill Burners. Recessed Lighting & New Designer Interior Paint 2019. Large Master with Upgraded Built-in Closets, 2nd Suite & Laundry In 3rd Level w Upgraded Carpet. Master Bath w Double Sinks & Large Glass Shower+Tub. Upgraded Office/Study or Flex Room & Panoramic Views of Downtown from Rooftop Terrace in 4th Floor. Premium Entertaining at Heights/Washington Ave. Walk to Several Parks & Bike Trails. Pristine Condition In & Out, Never Flooded! Enjoy the outdoors in the heart of the city on the private roof deck! This community not only has yards and roof terraces, but it also features a private community park and dog park. With ample guest parking, entertaining will be easy. Guests will admire the modern styling throughout the home. Retreat to the spacious master bedroom and relax in your luxurious bath. Incredible 3 story living with a 4th floor rooftop terrace and Downtown views!! 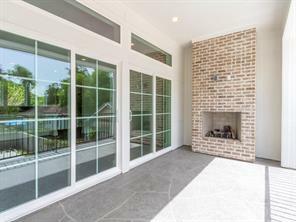 This home features a fully fenced yard, beautiful hardwoods and LED recessed lighting throughout, all granite counters, Nest thermostats, a 1st floor bedroom suite that could also be a great private study, and an open 2nd floor living area perfect for entertaining with a dry bar and a balcony! The stunning kitchen boasts a breakfast bar island, tile backsplash, walk-in pantry, ample cabinet space, and energy star stainless steel appliances. On the 3rd floor you'll find another secondary bedroom suite as well as the amazing master retreat that has an ELFA shelving system, dual vanities, large shower, and separate tub! Enjoy stunning views on the 4th floor terrace while still having privacy from the neighbors. Plus, easy access to all of the incredible shopping, dining, and attractions Downtown has to offer! Fridge, washer, dryer included! Just Reduced for a quick sale - EXCEPTIONAL VALUE - LAST UNIT LEFT! LOCATION LOCATION!!! Another Extraordinary Development by Bijan Builders, LLC (Bijan Custom Homes). 6 gated UNBELIEVABLY GORGEOUS 4-story free-standing homes. Superior workmanship w/ exceptional floor design. High 10 ft ceilings through-out with soft traditional colors, Oak hardwood through-out, open living concept, wired for alarm & surround, stunning kitchen island, granite counter tops, quality appliances, under cabinet lighting, large utility room with built-ins and sink, 3 zone A/C High efficiency Trane programmable, extra storage, AMAZING master bath w/double sinks, jet tub & shower, large closet, high garage ceiling, multiple balconies, roof top terrace with slate tile & gas connection and stunning Downtown views. Home is built on elevated piers. ******COMPLETE KITCHEN APPLIANCE PACKAGE INCLUDING REFRIGERATOR!!! *******Lowest price per square foot in the area! 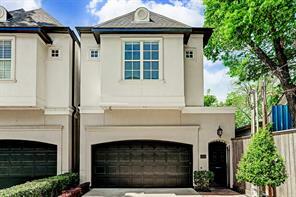 Beautiful contemporary four story townhouse with stucco on all sides. The kitchen and bathrooms include high end contemporary cabinets from Madeval USA. The kitchen also features an oversized island that opens to the living room with a balcony and dining room area ready to accommodate an adequate amount of guests. The third floor has a large master suite and a second bedroom. Finally, the fourth floor has a bonus media room and/or study room with a wet bar and access to the rooftop that is perfect and just in time for hosting year round! An urban home nestled amidst the artist studios, craft breweries, and boutique fitness studios of Houston's burgeoning First Ward Arts District. Sunset views of downtown and the historic Sawyer Silos from rooftop terrace (equipped for easy installation of outdoor kitchen or fireplace! ); Room for a pool in pet or kid-friendly backyard. New construction 3/3.5 with thoughtful floorplan designed for upscale living at approachable price point in vibrant, eclectic neighborhood. Three stories; Elevator capable! First-floor living framed in light from overscale windows and high 10' ceilings. Chef's kitchen with Jenn-Air SS appliances, Moen hardware, site- built hardwood cabinetry with soft-close drawers, and breakfast bar. Second-floor master suite with ensuite breakfast/cocktail bar and private terrace. 2 more bedrooms + Gameroom/4th BR. 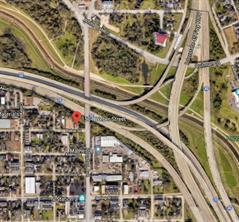 Also moments from Buffalo Bayou Park, the Heights and Downtown - Easy commute options via I-10, 59, and 45. Two-car garage with private driveway. 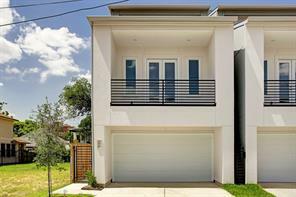 Remarkable modern home located in the fashionable and booming community of Sawyer Heights! 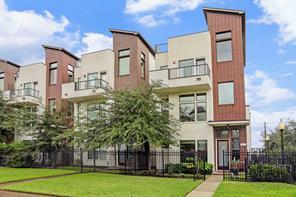 Located minutes from downtown, Washington Ave., the theater district, historic heights, and the best restaurants the city of Houston has to offer! Unique and contemporary finishes married with exquisite craftsmanship designed by world renowned architect, Antonio Rueda, create a luxurious retreat in the heart of the city that will impress those with the most refined taste. Home features a modern floor plan with open concept living as well as a copious amount of natural light. Enjoy the morning sunrise and breathtaking skyline views from the expansive 4th floor private terrace which features a contemporary pergola, water, gas, and electricity. 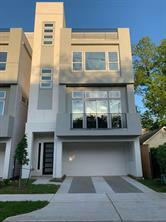 Home features an over sized attached garage, bike/storage area, Quartz slim counter tops, Moen fixtures and accessories, GE slate appliances, full alarm system, and is also prewired for surround sound. No HOA fees. Don't miss this fantastic opportunity! Finally! A freestanding gated home, with a rooftop terrace & downtown views that isn't shy on space in any room. This open floor plan, boasts high ceilings,granite counter tops, wood floors, & a private yard space. This community is within walking distance to Houston hike & bike trail, & within a mile to the Washington Corridor & less than 5 minutes to downtown and Memorial Park. 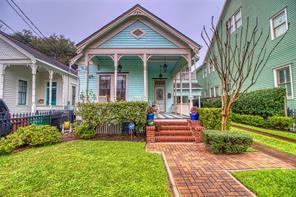 Beautiful home in the HISTORIC DISTRICT, FIRST HIGH WARD. Imagine waking up and opening your double French doors and greeting the day from your master bedroom. Beautifully appointed with white 42” cabinets, wood flooring, slate gray leathered granite, game room and beautiful SKYLINE VIEWS from 2nd story. 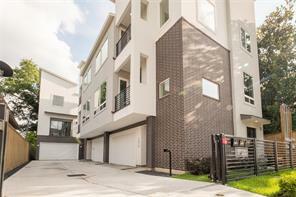 Walking distance to coffee shops & restaurants. WHAT A GREAT PLACE TO CALL HOME! 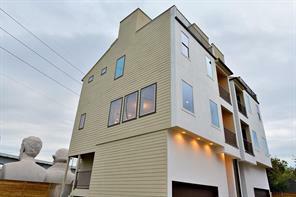 Beautiful three story town-homes in trendy Sawyer Heights just down the street from Downtown!! Modern floor-plan with high end finishes. Massive balcony with fireplace off the second floor living area. Twelve foot high ceilings with open concept living area great for entertaining. Wood floors and massive island in kitchen. Quartz counter-tops in kitchen and bathrooms. Plenty of cabinet space in kitchen with huge master bathroom and closet. Amazing City Views, No HOA, and prime location are just some of the many amazing features this property offers. This is one of the very few homes in the area that has beautiful city views without the need of being on a rooftop. Conveniently close to the best shopping and entertainment in town, you can just cross the street and enjoy amazing restaurants and bars, you will be just one mile from Downtown Houston where you can catch a game of the world champion Houston Astros, The Houston Rockets. You are also in walking distance from Washington Ave. with its many restaurants and shopping options. A beautiful Bike trail runs right behind the property. 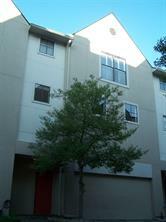 This Townhouse Prime location has plenty of parking on the street with no neighbors in the front and gated access. As you go through the pictures you can read on the many more details that this amazing home has inside. Check out the view! WE JUST HAD OUR SHOWCASE HOME STAGED... It’s just beautiful! FIRST FLOOR LIVING in Sawyer Heights! Imagine coming home with a load of groceries and walking right into your kitchen on the first floor, instead of carrying everything to the typical 2nd floor kitchen area.... Kitchen is open to Dining Room and Living Room that overlook a back yard. Large master suite with walk-in closet and two additional bedrooms on the 2nd floor. The third floor Loft doubles as a guest suite with full bath plus a great Study space that exits out to a nice balcony. Located in the stunning area of Sawyer Heights. Skyline at Ovid, is the perfect place to call home! 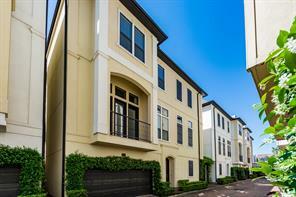 This four unit community is minutes away from shopping, entertainment, and the best restaurants Houston has to offer. You'll love the unique finishes throughout the home, spacious floor plans, high ceilings, and wet bar area. This community also offers breath taking views of downtown. Take advantage of the specially designed roof top deck that gives you ample space to host all your social events. Schedule your appointment to see this development today! WE JUST HAD OUR SHOWCASE HOME STAGED... It’s just beautiful! GATED COMMUNITY!! FIRST FLOOR LIVING in Sawyer Heights! Imagine coming home with a load of groceries and walking right into your kitchen on the first floor, instead of carrying everything to the typical 2nd floor kitchen area.... Kitchen is open to Dining Room and Living Room that overlook a back yard. Large master suite with walk-in closet and two additional bedrooms on the 2nd floor. The third floor Loft doubles as a guest suite with full bath plus a great Study space that exits out to a nice balcony. 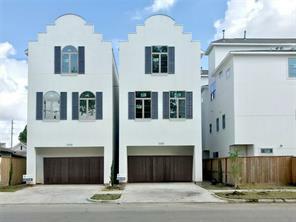 Fabulous 3 story open floor plan situated in a gated community in the heart of Houston near the trendy Washington corridor. This stunning freestanding home has high end features and finishes thruout incl marble and wood flooring, new carpet in bedrooms, fresh designer paint inside and outside, recessed lighting and crown molding. The 2nd floor open concept living room is flooded w/natural light, well-appointed kitchen w/granite counters and stained cabinets. Two secondary bedrooms are conveniently located on this floor. The spacious master retreat with a Juliet balcony has an oversized walk-in closet, master bath w/double vanities and granite counters, jetted tub and a separate shower. This unique floor plan also has on the first floor a gameroom with a wet bar and cabinets. An extra room is attached which could make this area a mother-in-law or nanny suite. NO Relax on 3rd floor rooftop deck and enjoy the evenings after a long day at work! NEVER FLOODED! This is a must see! Immaculate 3-Level home on corner in gated community with spacious private yard and roof top terrace with spectacular downtown views! 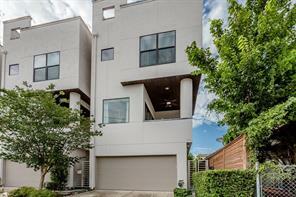 This home is also located in a great location on the Hike & Bike trail that connects the Heights to Downtown and Buffalo Bayou park areas, also with easy access to I-10 and I-45. Home features dark bamboo wood floors, Espresso Armstrong cabinetry, modern chrome hardware, vessel sinks, sparkling granite counters, frosted bedroom doors and soaring 10 ft ceilings. First floor has a private bedroom with bath. Second floor is the open living area with surround sound speakers, kitchen with large island/breakfast bar, stainless Kitchen Aid convection oven and gas stove. The 3rd floor has a secondary bedroom with private bath and the master suite with private balcony. The fourth floor offers a stunning roof top terrace with views of downtown with plenty of room for a grill. Home offers commercial grade blinds and hurricane security film. This 4 story upscale home has it all. Awesome 4th floor roof top terrace/party deck! HUGE walk in master closet, plenty of space for entertaining on the 2nd and 4th floors. 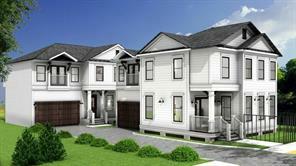 Level 5 granite, knotty alder doors, pella windows, bar with wine cooler, engineered hardwoods throughout the home including bedrooms, high ceilings, epoxy garage floors. Jogging trail is steps away, and so close to Downtown and Heights! WE JUST HAD OUR SHOWCASE HOME STAGED... It’s just beautiful! FIRST FLOOR LIVING in Sawyer Heights! GATED COMMUNITY!! Imagine coming home with a load of groceries and walking right into your kitchen on the first floor, instead of carrying everything to the typical 2nd floor kitchen area.... Kitchen is open to Dining Room and Living Room that overlook a back yard. Large master suite with walk-in closet and two additional bedrooms on the 2nd floor. The third floor Loft doubles as a guest suite with full bath plus a great Study space that exits out to a nice balcony. OPEN HOUSE SUNDAY, APRIL 14TH, 1-4 PM! Who wants to sit on the freeway in traffic when you could be home in 7 minutes and sitting on your 2nd floor balcony OR 3rd floor deck with a glass of wine watching the sun go down? Get off the freeway and into your very own 3 story DREAM HOME! Excellent investment in this HOT HOT HOT up & coming community, LOCATION is amazing - 1st Ward/Arts District is THE place to be! 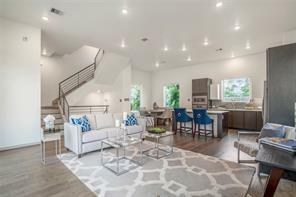 This FAB home, near restaurants, art studios & right on the bike/walk path, is not only comfortable and extremely livable, but it's the perfect place to entertain (and impress!) colleagues, family & friends. Friendly neighbors in this community are a real bonus, and being right on the bike/walk path means you can bike to work downtown, or into the Heights for a Sunday afternoon of hanging out with friends. Don't miss this terrific opportunity! A great place to live and a super investment! (Buyer to confirm room sizes) YOU'RE GOING TO LOVE IT HERE! Located in the stunning area of Sawyer Heights. Skyline at Ovid, is the perfect place to call home! 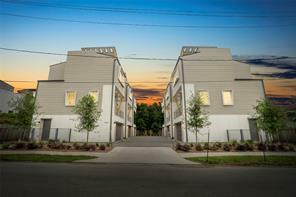 This four-unit community is minutes away from shopping, entertainment, and the best restaurants Houston has to offer. You'll love the unique finishes throughout the home, spacious floor plans, high ceilings, and wet bar area. This community also offers breath taking views downtown. Take advantage of the specially designed roof top deck that gives you ample space to host all your social events. Schedule your appointment to see this development today! 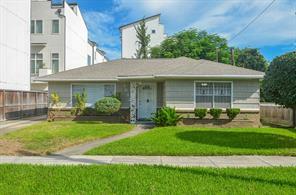 Fully remodeled home located in the heart of Houston. Blocks away from local shops, artists and more! With attention to detail and keeping with the historic feel, this home features exposed ship lap walls, original hardwood floors and much more! 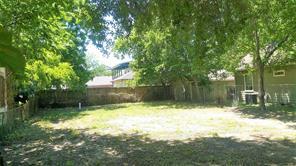 The large back yard is perfect for parking, pets or weekend bar-b-ques. Come see this amazing remodel today! Dimensions are approximate. Location,Location, Location !!! 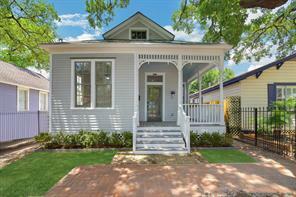 This adorable bungalow offers shiplap walls, original hardwood floors, spacious and welcoming porch, workshop and high ceilings ! 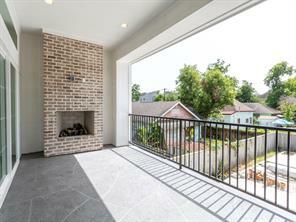 The location is superb with close proximity to parks, Buffalo Bayou, Theater District, Museum district,easy access to freeways, Downtown , Medical center and Galleria. This property is ready for you to update and put your own touch on it. Own your own slice of Houstons Original City History. 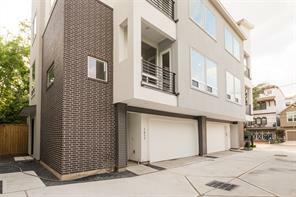 Desirably situated in a private gated community in the historic 1st Ward Arts District, near the Downtown/Washington Corridor, this stunning contemporary town home doesn't need a second chance to make a great first impression. This brick-sided abode with 2-car garage & covered porch, opens upon a vast layout where an over sized living room warmed by a cozy gas fireplace creates a focal point in accord with an elegant formal dining room overlooked by the large kitchen. Ample storage makes maintaining a clutter-free house an easy task, while granite counters & stainless appliances make gourmet meals a cinch. Upstairs, the generous flex room, en suite guest bedroom & pampering master suite with walk-in closet, glass enclosed shower, jetted tub & dual sinks makes coming home feel like the embrace of a first class resort. Minutes from the renovated Buffalo Bayou Park, Washington & Midtown areas, you'll enjoy quick & easy access to all of your favorite recreations & conveniences. Perfection! An opportunity to call booming Sawyer Heights home! A sought after and like-new corner unit backing up to Brock Park on ideal street w ample additional parking & stunning downtown views from ROOFTOP terrace (with snapshot views of Downtown). A hard-to-find home w COUNTLESS UPDATES including new HVAC, custom storage, abundance of living space & generously sized bedrooms. An unbeatable location w rare private entry access, flex space, unfinished room, hardwoods & soaring ceilings. You'll find easy highway access - Where lifestyle, convenience & outdoor recreation meet. A home that checks EVERY box! This bungalow has been completely renovated! Hard wood floors, granite counter tops, new appliances, and modern decor. New grass and driveway have been done for a fresh new look! This home is conveniently located near Downtown and all the fun amenities!! The train is in a No Blow Zone. You don't want to miss this cute home! Immaculately maintained home with amazing views of downtown from the 3rd floor private covered patio balcony. Open living room, kitchen, and dining area on the 2nd floor with walls of windows, a view of downtown and custom top down bottom up shades. Beautiful wood floors throughout main living areas, granite countertops in kitchen and bathrooms, high ceilings and upgraded fixtures throughout. Every room has a private bathroom attached. Exquisite Master suite with large walk-in closet, oversized shower and jetted tub, double vanities, and even an extra space for a dressing table or coffee bar/wine fridge. Extraordinary gated community with pool, hot tub, and plenty of guest parking. 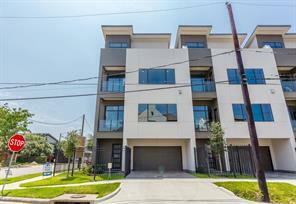 Fantastic location near all major highways, blocks from Houston's Hottest restaurants, Hiking/Biking Trails, Entertainment, and 1st Ward's fabulous Art District! Come see it before it's gone!! No Flooding Ever! NEVER FLOODED! Here's your opportunity to move into Washington/Sabine near First Ward. Priced right to move in now and work on more updates later. The house has convenient access to highways. 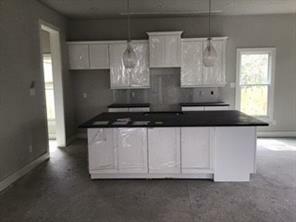 Surrounded by new construction, the house has recently extended porch, renovated kitchen and bath (UC), new hardwood flooring, paint and roof, new blocks added recently. Updated electrical, plumbing and gas line - all tested. Smart meter installed. Fenced backyard with concrete patio. The garage has a mezzanine floor that can be extra storage space or your workshop; can be easily converted into an apartment. This house is move-in ready. Great property for investor/builder for future project. Commercial buyers welcome, make this your office/daycare. You'll fall in love! 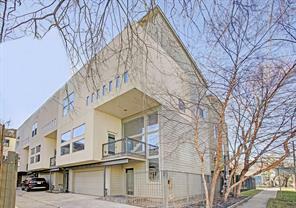 Stunning free standing corner unit home in the heart of Sawyer Heights Art District. Tons of natural light, meticulously kept this beauty is appointed w/ crown molding, wood floors on 1 & 2nd floors, flag stone in entry, granite countertops, & marble in master bath w/ whirlpool garden tub. Home features an open concept floor plan on 2nd floor w/ high ceiling and boasts 2 full walls of windows incl juliet balconies on both 2 & 3rd floors. New 14 SEER A/C Aug 2017 + Nest thermostats & fans throughout. Fenced yard in front with iron gate. Easy access to downtown, med center, + steps to the Heights hike/bike trail, many art studios, restaurants, night life & shopping. No flooding, per seller. Almost New Home. Gorgeous Middle Unit - EXCEPTIONAL VALUE-LOCATION LOCATION!!! Another Extraordinary Development by Bijan Builders, LLC (Bijan Custom Homes). 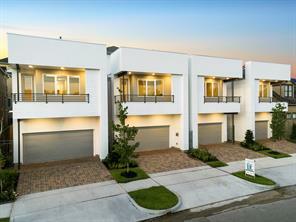 6 gated UNBELIEVABLY GORGEOUS 4-story free-standing homes. Superior workmanship w/ exceptional floor design. High 10 ft ceilings through-out with soft traditional colors, Oak hardwood through-out, open living concept, pre-wired for alarm & surround sound system, stunning kitchen island, granite counter tops, quality appliances, under cabinet lighting, large utility room with built-ins and sink, 3 zone A/C High efficiency Trane programmable thermostats, extra storage, AMAZING master bath w/double sinks, jet tub & shower, large closet, high garage ceiling, multiple balconies, roof top terrace with slate tile & gas connection and stunning Downtown views. Home is built on elevated piers. Currently leased out for $2995 month, tenant going month to month. Great opportunity to keep the home leased out and collect income or live in now! 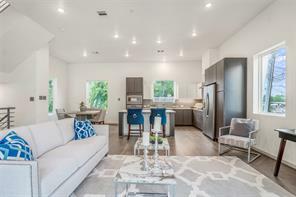 Wow GREAT price-top location-FIRST WARD ART DISTRICT-Note: Below HCAD appraisal district value- a block from trails, walk to amenities: grocery & specialty shopping, studios-galleries- restaurants, wine bar, coffee house. 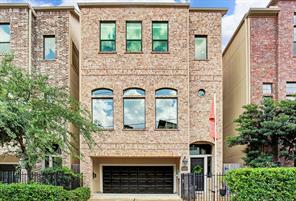 Just blocks from I-10 and HWY-45 for commuters, Downtown-Galleria... Twelve Gated Homes -Tall 11' ft ceilings-Unusual plan offers entire third floor master suite with two huge closets+extra room could be exercise area, second study or nursery. ( Award winning Crockett Elementary). Private entry second bedroom on ground floor with walk-in closet and bath, patio door outside to yard. Quiet study/bedroom/ gym off kitchen with WI- closet, high ceiling +full bath in adjoining hallway. Closets galore some with 11 ' ceilings. Very open and spacious feel with tall ceilings and light filled rooms. 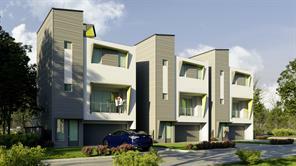 Built to Eco-FIT energy standard, by In-Town homes. Have you always wanted to experience living downtown in a major city? 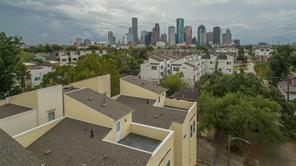 Here's your opportunity to live in one of Houston's hottest areas. Ideally located in the historic 1st Ward Arts District, this gorgeous four story townhome is surrounded by eclectic nightlife, restaurants, hike and bike trails and boasts amazing city views. The newly replaced fourth story rooftop deck wraps two sides of the home and has water access on the exterior as well as a large landing area. It's ideal for indoor/outdoor entertaining. The interior features all hardwoods on the 2nd & 3rd floors with trendy cement flooring on the first floor bedroom with barn door access. Each bedroom has its own full bath and the second floor has a gorgeous sunken living room, formal dining and island kitchen as well as a powder bathroom for guests. This contemporary design screams urban chic. Floor to ceiling windows maximize natural light. This isn't just a home-it's a lifestyle! A must see! Save $$$ on property taxes! This home has a tax value ~24% lower than the average on the block but includes extras and bonuses that you won't find in similar homes--awesome value! Never flooded! Gorgeous detached patio home in gated community, close to everything. One of the few on this row with a private rear-facing balcony and unobstructed city skyline views. Rear faces a commercial business (lumberyard) which means no adjacent development or nosey neighbors peeking into your home! High ceilings, double crown molding, ebony-stained pine floors throughout, and custom-built wood media center on main floor. Large master with three closets, large tub, & separate vanities. Two blocks from Washington Ave and 5 minutes to Downtown. Includes all appliances & w/d; refrigerator bought brand new in 2017. Walking distance to 1st Ward attractions like Sawyer Street Studios, parks, brewery, restaurants, etc. Quiet zone-no train sounds. This is a very well maintained InTown Home in the Sawyer Heights neighborhood! Nice sized bedroom with en suite on first floor. Open floorplan on the second with custom window treatments, gorgeous wood floors, custom chandelier, and spectacular custom kitchen. There is also laundry and powder room on second floor. Third floor has a massive master with three closets! Huge double sink with custom mirror, frameless shower, and large soaking tub. There is also another bedroom and en suite up on the third floor. Also nice is to have the two outdoor areas - patio off the living and a grilling/lounging area down on the first level. Come check this one out! Location!Location! Location! Welcome home to 1904 Winter Street! 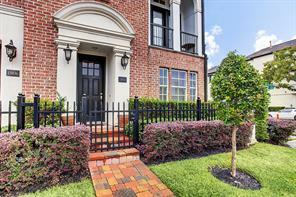 This is a stunning townhome centrally located minutes away from Downtown Houston, Memorial Park, Allen Parkway, the Montrose District and the Washington Corridor area. Live near Rice Military without paying Rice Military prices! Beautifully gated community with a pool and spa along with amazing views of the city from the second and third floor. This is a spacious townhome featuring rear patio enclosure, patios on first & third floor, beautiful granite counter-tops and hardwood floors. Fresh paint has been applied throughout the entire home and garage, as well as newly installed carpet for the next homeowner of this dazzling home! 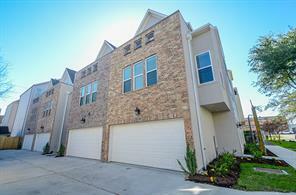 Beautiful 2 story town home located in Sawyer Heights. First floor master bedroom with private access to high fenced backyard. Open concept home with a large kitchen and a great living/dining room. Double wide private driveway with 2 car garage for lots of off street parking. 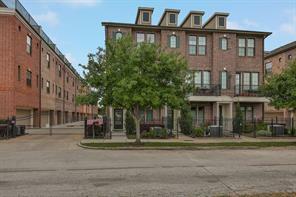 Walking distance to 2 restaurant's and 1 bar, only 1 mile away from downtown. Please provide 24 hours or showing requests. PRIME LOCATION! Walk to the fabulous restaurants in the Washington Corridor or the art shows; fitness center or even Target! 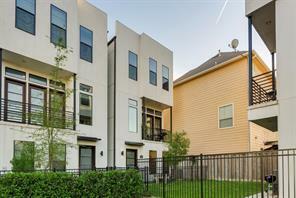 Easy freeway access means minutes to downtown, the Medical Center or the Galleria or Energy Corridor. Surrounded by Bike and Hike Trails! 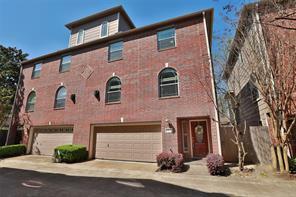 Immaculate 3 story, 3 BR, 3.5 Ba brownstone style condo is the largest floorplan in the complex. Wood floors throughout the home except for secondary bedrooms. Kitchen boasts stainless steel appliances including built-in microwave and a wine cooler. En Suite bathrooms in all three bedrooms. Private and secure gated community. Rooftop terrace with fabulous views of the city. HOA fees cover water, sewer, trash, exterior insurance and maintains the exterior grounds and building! Never flooded. Corner unit beautifully design brownstones offers a rooftop deck with amazing views of downtown. Countless amenities... modern finishes, stainless steel appliances with SS wine fridge, European style cabinetry with glass backsplash, hardwood floors and granite countertops throughout. Kitchen opens into the dining and living room. This is a great space to entertain family and friends. Lots of natural light with a corner unit. Custom bay window seating on second floor with tons of storage underneath. Custom Elpha closet installed in the master closet. Upgraded sink / wet bar installed on the 4th floor just before the roof deck. Nest thermostat and nest camera will stay with the home. Home located in the bustling Sawyer Heights area, right next to the hike and bike trail. 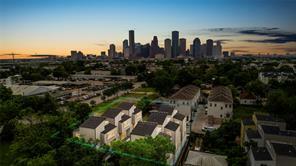 Minutes from Downtown, Galleria, Med Center and many of Houston's hot spots. Don't miss out and schedule your private tour today! Location! Location! 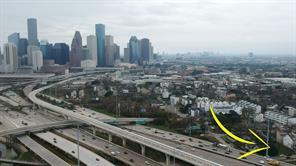 Centrally located property overlooking I-10 with stellar view of downtown Houston skyline. Zoned to Heights High School. Minutes from everywhere you want to be. Bring your best development plan to thrive in this spot! Property offered AS IS with existing duplex structure. LOCATION, LOCATION, LOCATION. 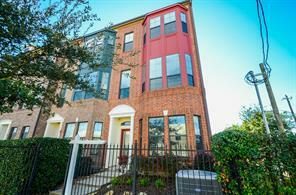 3 Bedroom, 2.5 bath townhome with attached 2 car garage is conveniently located a few minutes from Downtown Easy access to Art Galleries, University of Houston, World Renowned Medical Center, Metro Rail Transportation, lots of Restaurants, and so much more. 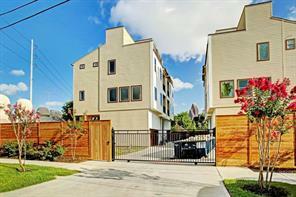 Situated on a corner lot within Washington Ave Arts District. Adjacent vacant lot with playground on is not apart of sale. PRICED TO SELL, call me to schedule your private tour today! Industrial style loft with incredible downtown views, abundant natural light, and plantation shutters throughout. The dream kitchen includes granite countertops, stainless steel appliances, and plenty of counter space.The open concept is perfect for entertaining. Currently the floor-plan is being utilized as a 1 bedroom with a large study area but could be converted to a 2 bedroom. The master bathroom is complete with a separate Whirlpool tub, walk-in shower and double sinks. Socialize or take in the views on the spacious balcony. 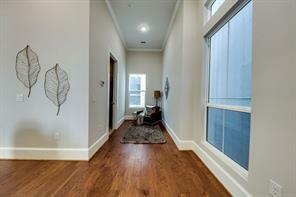 Chic light and bright, loft style condominium in the heart of Washington Sabine. 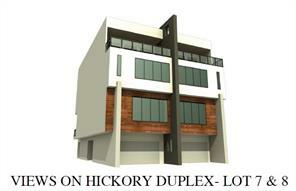 Exceptional 6 unit building with only 2 units per floor. No shared walls with neighbors. Inviting double wood doors into open concept foyer/living space boasts easy to maintain stained concrete floors, exposed ceiling, multiple large windows & access to private covered terrace. Kitchen offers granite counters, stainless appliances, ample cabinet storage, breakfast bar with 3 pendant Edison bulb lights, & access to service hallway. Laundry room has built-in shelving, hanging station plus washer and dryer (to remain). Study/2nd bedroom offers a large walk-in closet. Master suite features a wall of built in closets and drawers. Double doors to Master bath with seamless glass shower, tub, double sinks, and separate water closet. 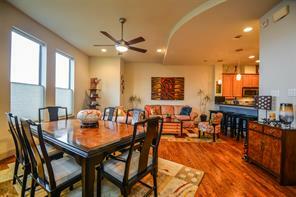 Close proximity to nearby restaurants, easy access to Downtown & I-10. 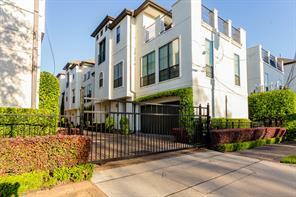 Unit has private 2 car tandem garage with access door into building plus 1 additional space in gated parking. Great corner lot opportunity for your next Sawyer Heights development. All plans are done and impact fees have been paid, you just need to submit for permitting. The site has been platted for 3 single-family homes with private drive-ways and roof-decks overlooking the Houston skyline. Call today to set your appointment to go over plans. The desirable community off the Heights Bike Trail in the gated subdivision of Sawyer Heights is the perfect place to experience the best of city living. 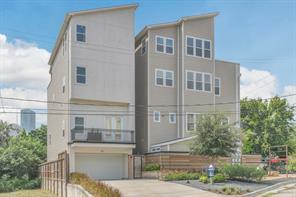 This 2-bedroom, 2.5-bathroom end unit townhome boasts high ceilings, hardwood flooring, fresh paint, new 3rd floor carpet, crown & base molding, surround sound prewired in the living room and the master bedroom, a recently replaced HVAC & a balcony. The chef’s kitchen features granite countertops, a tile backsplash, stainless steel appliances & range hood, wine refrigerator, pendant lighting & a breakfast bar. Melt away the stress in the spa-like master suite, complete with dual vanities and a whirlpool tub & shower combo. Spend some time outdoors with your furry companion at the community’s dog park. 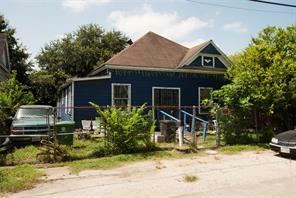 Situated just north of Eleanor Tinsley Park, this property is located steps from Downtown Houston. Explore the Houston Aquarium or attend a performance at The Hobby Center. Within walking distance of Sawyer Heights Village. Location, location, location. 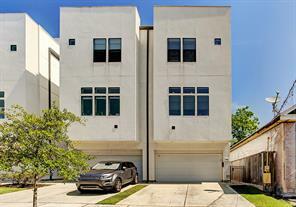 This well maintained single story home is right in the heart of the Washington Avenue Art District and only minutes to the Impressive Houston Downtown Skyline and entertainment. Close to all of the major sports arenas; Houston Toyota Center, home of the Houston Rockets; BBVA Compass Stadium, home of Houston's Dynamo Soccer Club; George R. Brown Convention Center; and walking distance to Metro Rail, for quick access to NRG Stadium, home of the Houston Texans. This property features plenty of space for backyard outings and it is neighboring to the City of Houston Summer Street Park, which is dog park friendly. Perfect as your private home or income generating BNB. This is a must see, it will not last long! Colorado St at Washington beauty! 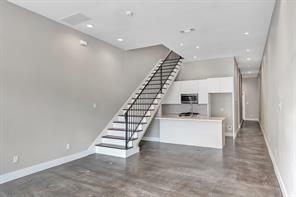 Gated, 3 story townhome with many updates, per owner, including: IQ Air Perfet 16 full house air purifiction system; solar blinds; Noritz tankless water heater; granite counter tops and Steele Cable Railing. Just down the street from popular restaurants, downtown sports venues such as Minute Maid, Toyata Center and Dynamo Stadium. Memorial Park and the Theater District are minutes away. The second floor gives you an amazing view of downtown, lots of natural light and a tree house feel,when you enjoy the balcony. The versatile first floor, makes a great private bedroom, office or exercise room and opens to a nice big deck, waiting for greenery and flower pots. Its downtown view will impress your guests. PRICE REDUCED!!! Gated Community!!! 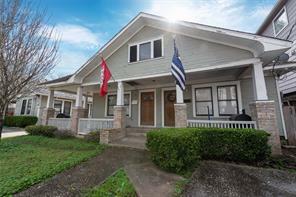 Beautiful two bedroom, two and a half bath home just minutes from downtown. Save yourself the commute and relax in this gorgeous, freshly painted, near town retreat. While preparing meals in the modern kitchen, look past the wood floors to the natural light filtering through the plantation shutters that open onto the balcony. Truly an enjoyable living experience. Come see it today! This lot is the project you've been looking for! You can tear down the entire house and re-purpose the lot to fit your needs or use the current foundation as a template for your dream home. With a massive tree in the backyard, a majority of the lot will be cool and shaded all year round. This means you can build that tree house or backyard oasis you've been talking about for years. Don't let the current state fool you, this space has a ton of potential. At this price it is guaranteed to sell fast. So to all of you creative and handy buyers, call us today while you still can. We don't want you to miss out on this rare opportunity. 5,000 SQFT LOT IN BAKER SUBDIVISION!! Along the Heights Bike & Running Trail that connects to Downtown. 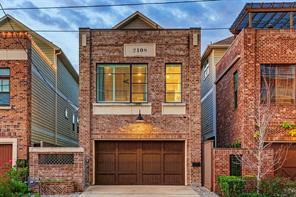 Located in the popular 1st Ward area, booming with new construction everywhere!! 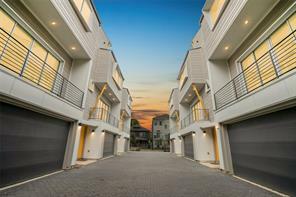 Situated among new multi-unit condominiums, townhome developments & unrestricted single family properties. Near Buffalo Bayou Park, the Theater District, Toyota center, Dynamo theater, Discovery Green, Minute Maid Park, Washington Corridor & much more. Excellent opportunity to buy a property in highly desired Sawyer Heights. 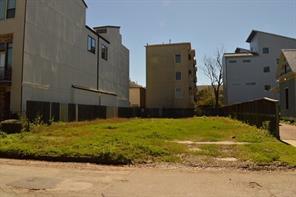 Lot has already been cleared and platted for three beautiful town-homes. Seller have already completed the demo, platting architectural drawing and impact fee can be assigned. New Update new sewer line at Summer & Sabine can be used for the project. Conveniently located in the highly sought after Historical Heights First Ward, near Crockett Elementary, Shopping, Restaurants, Downtown, Washington Ave. and many Entertainment Venues, this cleared and ready to go new home site is 4200 sq. ft. Currently, platted for 3 townhomes. 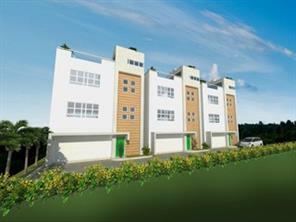 Surrounded by newly developed properties, this is a great location for Your new home!! Bring your own builder. WOW GREAT LOT IN BAKER SUBDIVISION ! Lots of new construction in the area. Incredible opportunity in the heart of trendy First Ward. A short distance to the art galleries, restaurants, and nightlife of the vibrant Washington Corridor. Also Close to Heights Bike Trail connecting to Downtown. Call us if you have any questions. Don’t miss this incredible opportunity ! 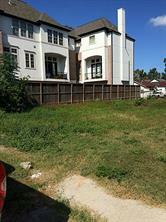 3500 SF cleared lot to build on in the Houston central area. Blocks away from major freeways. Fast developing area outside of historic 1st ward restrictions. Build your own single family home or town homes. Lots of new construction in the area. 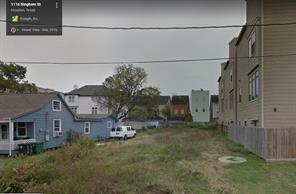 This lot is on east side of 1211 Spring st.
50 x 100 lot (can be divided into 3 townhomes in total). Rare land available in the area. Build your own home. Plans attached for 3 separate lots. Ready for 3 single family townhomes. MUST SELL TODAY! CALLING ALL BUILDERS ~~ PRIME Location Location Location!! 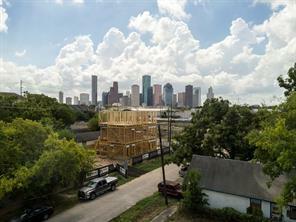 Great opportunity to build homes with gorgeous views of the downtown Houston skyline!! New builds all around. Access to major Freeways. Up & coming neighborhood. Just seconds from Downtown! Close to Washington Ave and Heights Bike Trail connecting to Downtown. Close to Sawyer Heights shopping center w/Target & Restaurants. Area designated 'no whistle zone' for train. Lot can be subdivided into 3 lots. 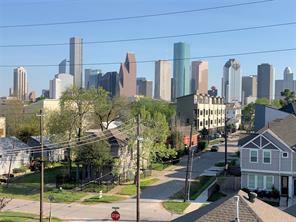 Incredible opportunity in the heart of Houston. Location, location, location! What a great developing area, lots of new construction.. Close to major freeways and landmarks like BBVA Stadium. 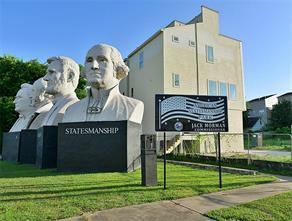 Minute Maid, Washington Ave corridor and a walking distance to Downtown; American Statesmanship Park behind property. 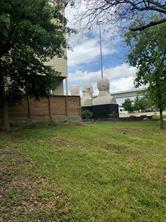 Lot is facing downtown which makes the location even greater for a nice townhome with roof top that will have an amazing view of a beautiful downtown skyline. Investors and developers, please hurry and make this one your big success! Topographic survey available. BUY TODAY AND START BUILDING TOMORROW! This is a 6 unit development with 2 lots left for construction. Gated and fenced property. This sale is for unit 1 which is an end unit. Existing 4 units are already built out. Up and coming area with new builds all around! Get the perfect downtown views with this property! The SELLER WILL CONSIDER ALL REASONABLE OFFERS. BUY TODAY AND START BUILDING TOMORROW! This is a 6 unit development with 2 lots left for construction. Gated and fenced property. This sale is for unit 6 which is an end unit. Existing 4 units are already built out. Up and coming area with new builds all around! Get the perfect downtown views with this property! The SELLER WILL CONSIDER ALL REASONABLE OFFERS.